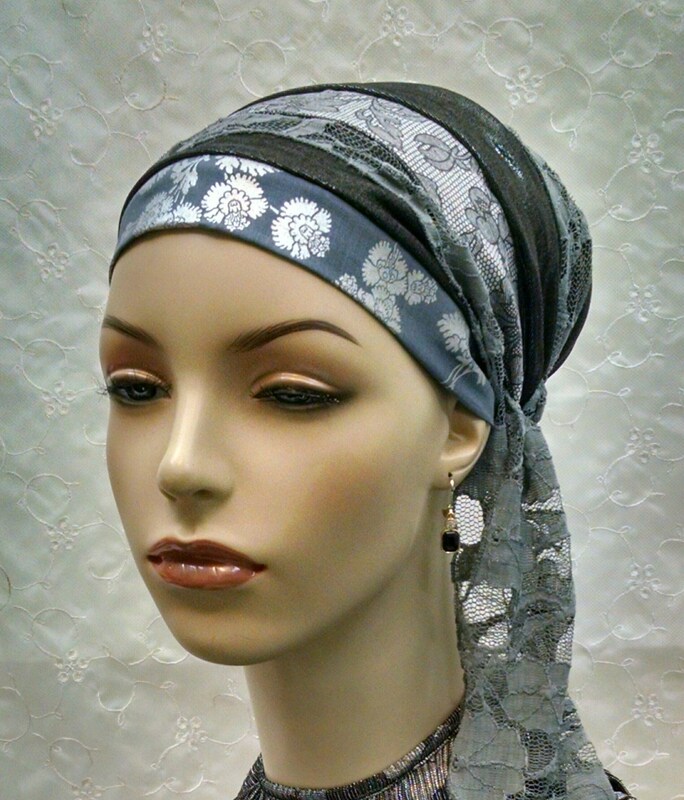 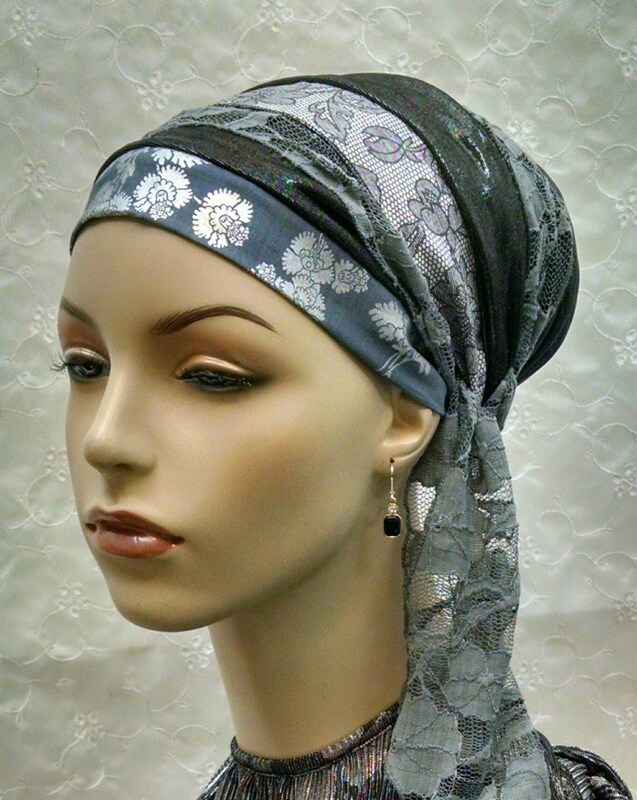 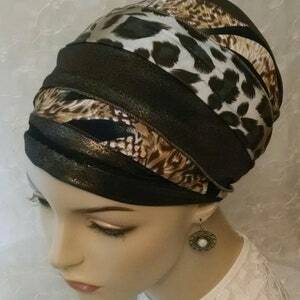 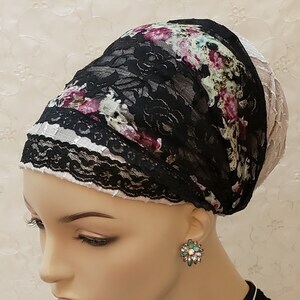 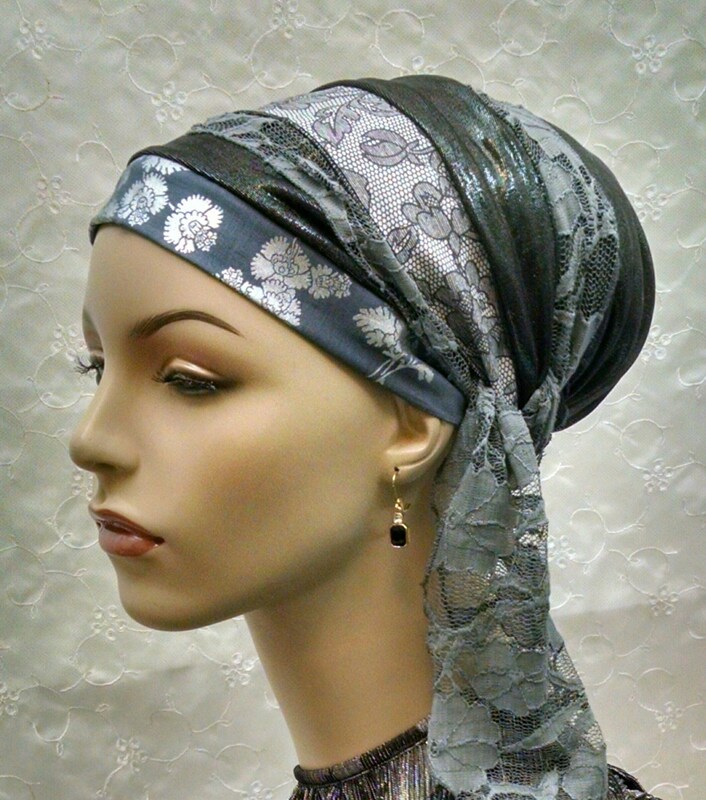 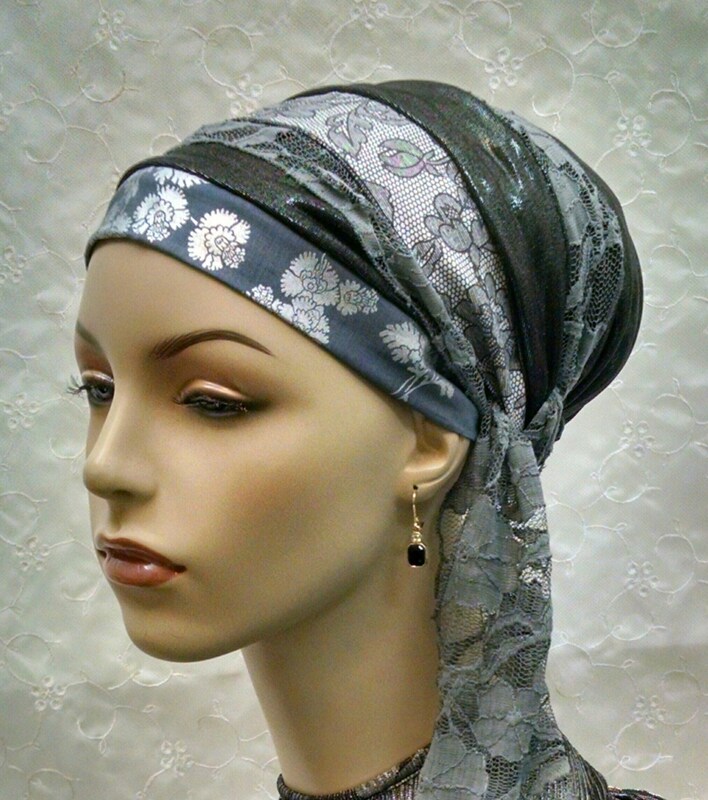 The head wrap features a beautiful silver/black shiny base that's beautiful all by itself. 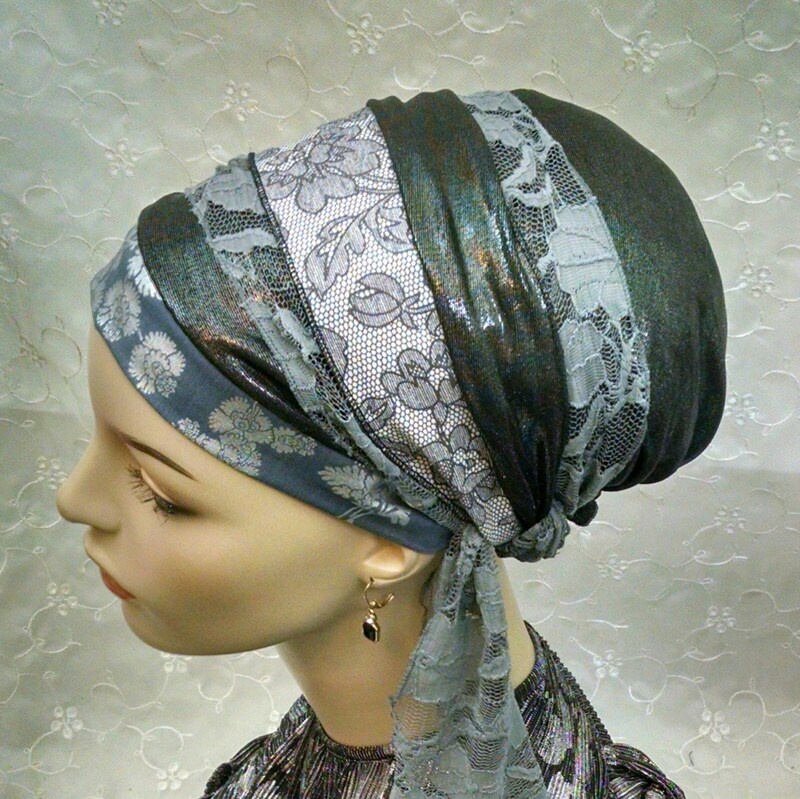 When wrapped up with lace andWHAT IS A SINAR TICHEL? 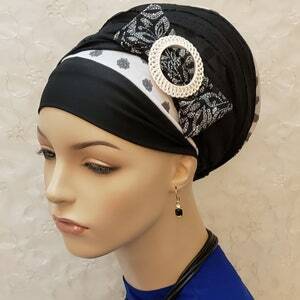 Wear it in good health! 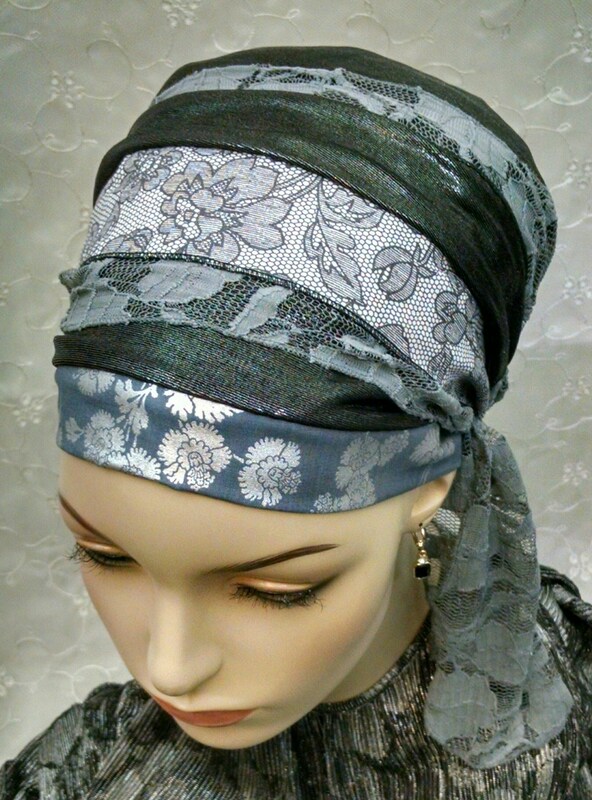 floral patterns, it's sensational! 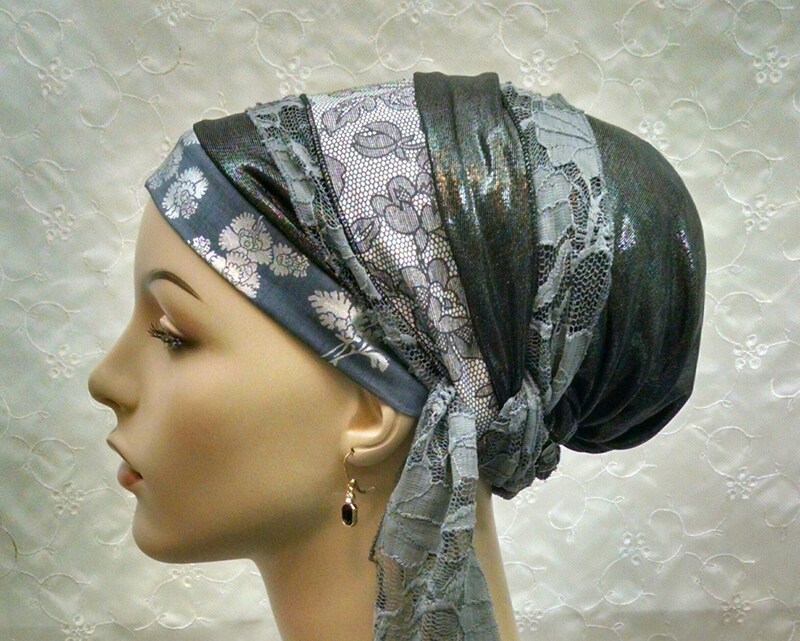 Perfect for a great everyday look, work and easily dresses up for Shabbat and other special occasions! 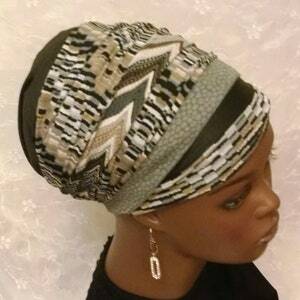 **Under yellow lighting, the black and silver main fabric picks up some bronze tone.